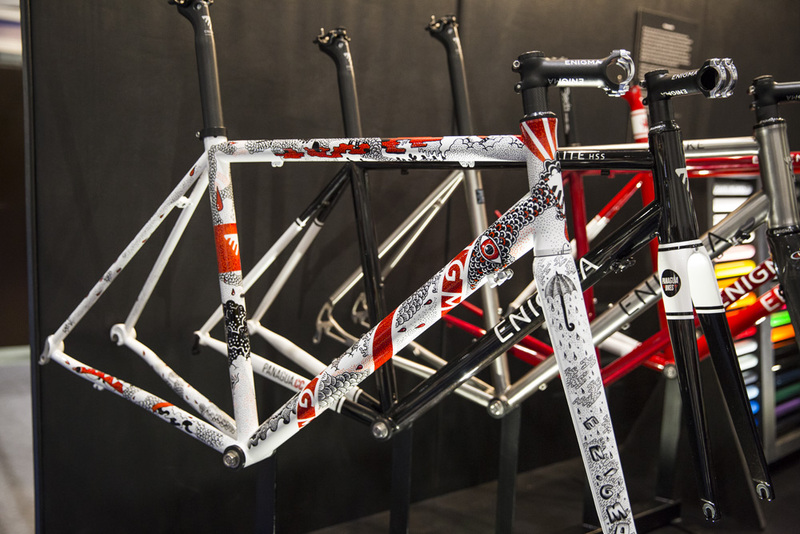 There was certainly plenty to see at the London Bike Show last weekend. 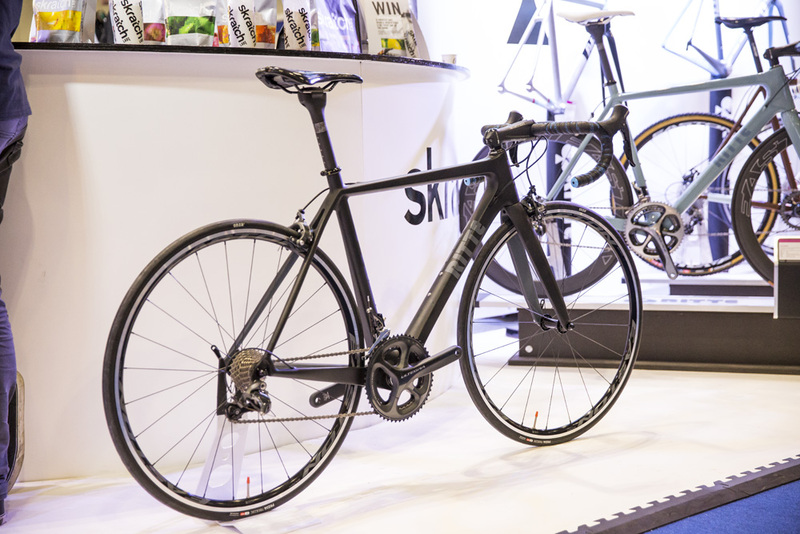 Here's the second part of our look at some of the best bikes on show. 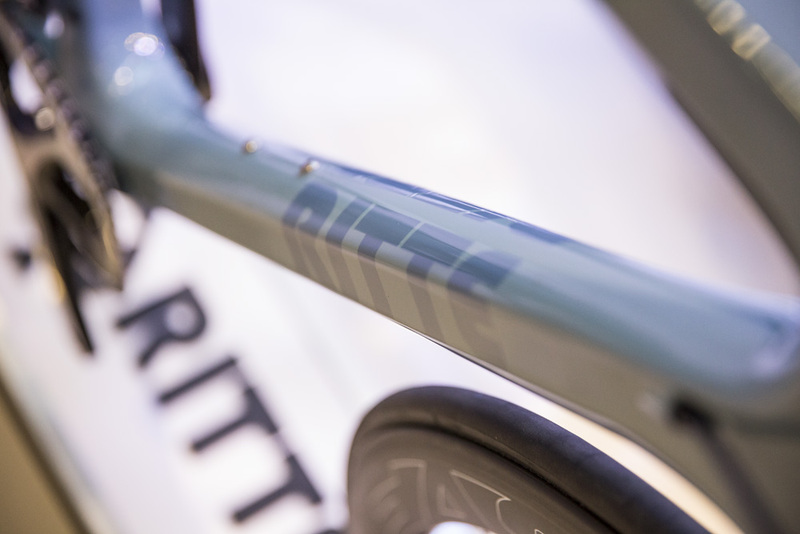 We first saw the new Ritte Ace at Core Bike last month, but took the opportunity to get a bit more up close and personal with the new model. In terms of design there’s nothing outlandish about the Ace. The frame has a classical look about it, with boxy but rounded tube shapes finished with neat internal cable routing that creates one of the best looking bikes we’ve seen in a while. 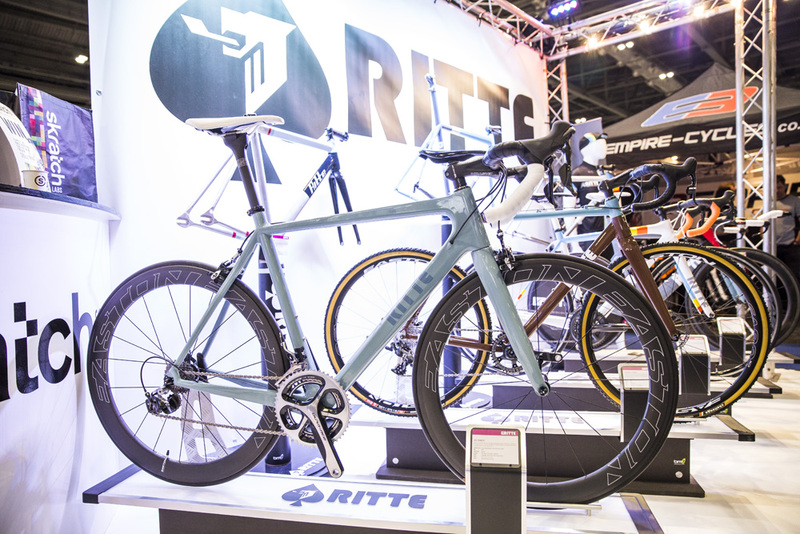 Unlike the Vlaanderen, Ritte’s previous range-topper, the Ace uses a fully monocoque construction, meaning that the frame is a single structure, eliminating the weak points at the joints between tubes found on most frames. The carbon itself is a T700/T1000 layup, and has been shaped into the same geometry used on the Vlaanderen. 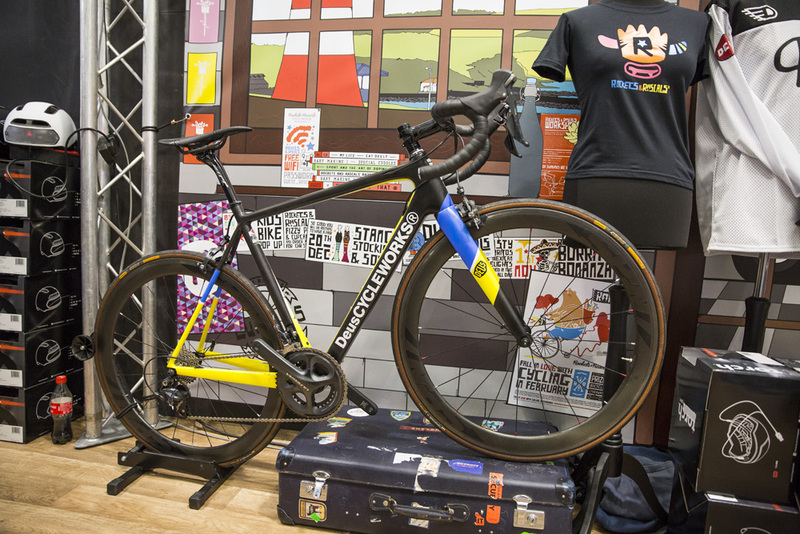 The frameset is available for a penny under £2000, and UK distributors Silverfish had two different builds on display. Firstly a light blue version with mechanical Dura-Ace and Easton EC90 Aero 55 wheels, as well as a slightly cheaper build on a matte black frame with Shimano Ultegra and the new Easton EA70 wheels. 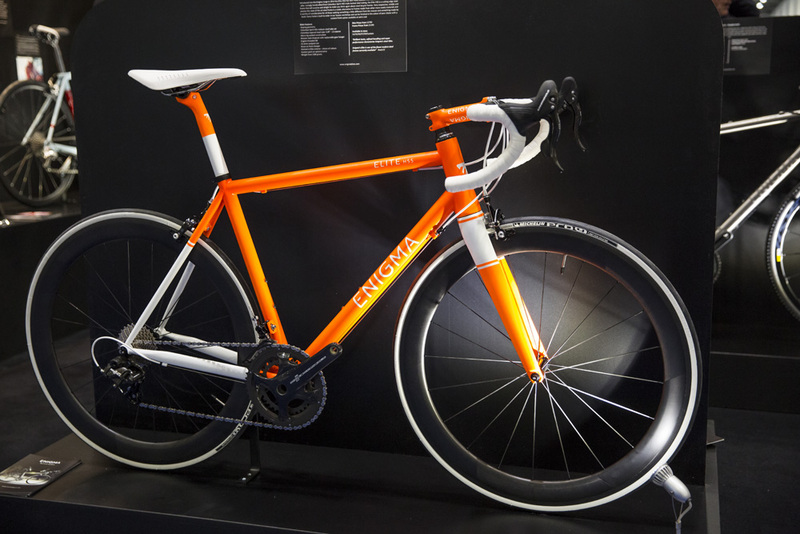 The custom paint jobs are available on all of Enigma’s frames, and we particularly liked the hi vis orange look of this Enigma Elite HSS ST. With its Columbus Spirit HSS niobium triple-butted tubing, the Elite HSS ST is Enigma’s flagship steel “fast endurance” frameset. The frame (without the custom paintjob) is available for £1299, with this particular model built up with Campagnolo Super Record groupset and unbranded deep section wheels. The final Enigma that we simply had to include is this one-off Eunique track bike built for Simon Childs, an executive at Rothschild. 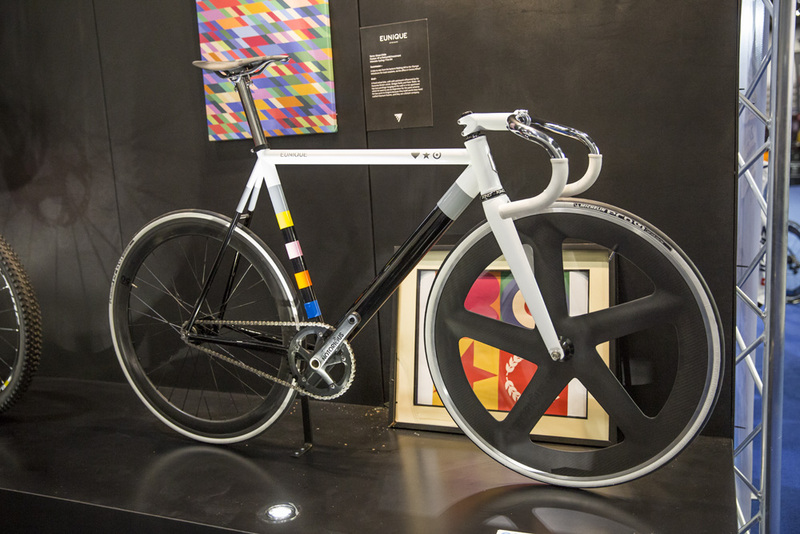 With a paint scheme inspired by pop artists Peter Blake and Bridget Riley, the frame is built with a 50mm deep section rear and five-spoke front wheel, a BLB Notorious crankset, and a beautiful set of chrome Deda handlebars. 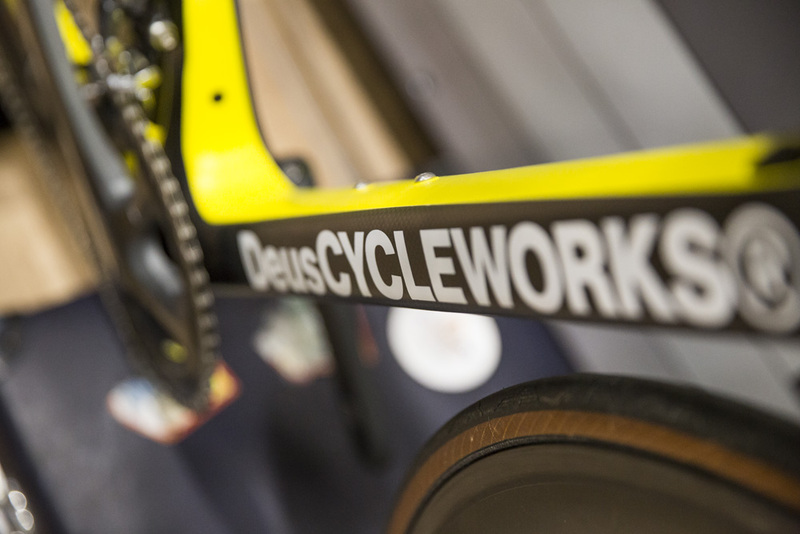 As well as producing motorbikes and surfboards, Deus Ex Machina do a diverse range of bikes. This Carby Road has a Columbus carbon monocoque frame, with press-fit bottom bracket and tapered headtube, with the frameset price of €1900 (roughly £1400) including a custom paintjob. The full specification is up to the customer, but we certainly wouldn’t complain if we were given the bike on display at the Excel. The groupset is the latest 11-speed mechanical version of Shimano Ultegra with a pair of Spin K2 Carbone Dark Energy 66mm carbon clinchers. The handlebars, stem, and seatpost are all Zipp items, with Continental tyres and a full carbon San Marco saddle putting the finishing touches on sub-UCI weight limit bike. Caterham probably isn’t the first name that springs to mind when planning your next bike purchase, but if you’ve got £12,500 to spend, the Duo Cali could well be one for consideration. The world-renowned car company hasn’t set out to create a high performance superbike, but has instead focused on aesthetics, with the top tube, down tube, seatstays and chainstays all formed from a single piece of carbon fibre and all flowing sweetly into each other. 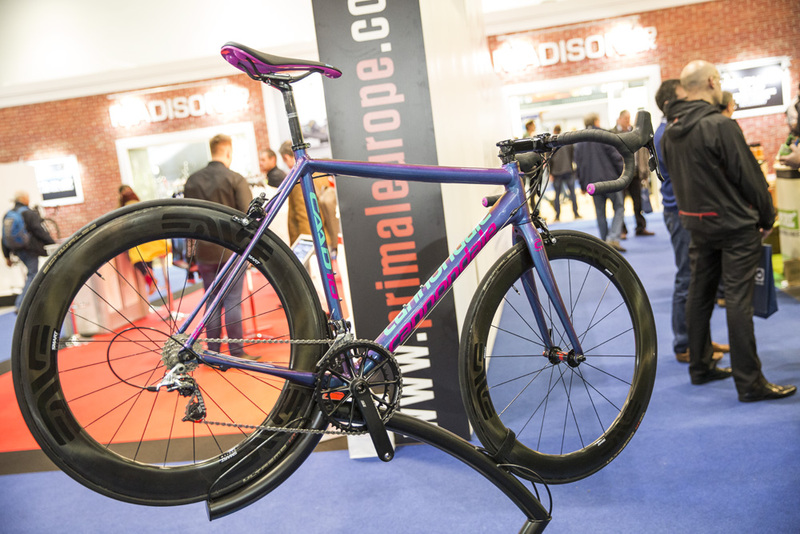 As you’d expect, £12,500 buys you nothing but the finest componentry, with the bike only available with Camagnolo Super Record EPS and Tune Airways 41mm carbon wheels which weigh an astonishing 1185g for the pair. 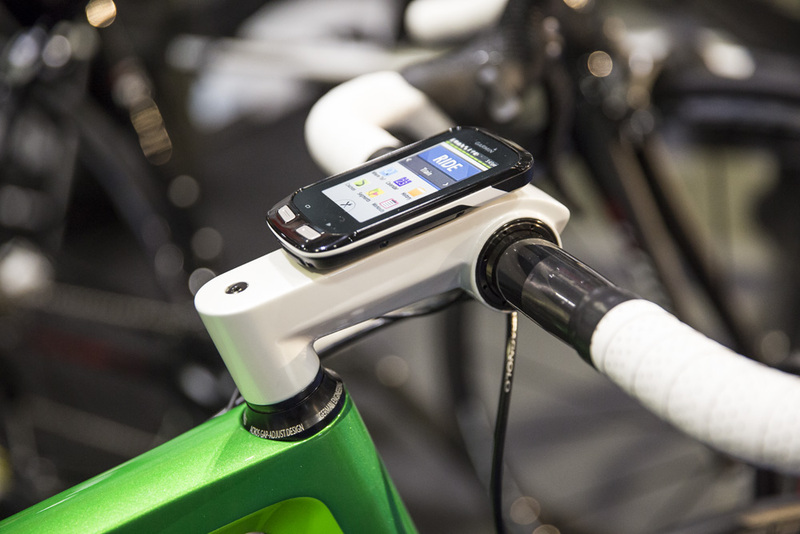 However the highlight is probably the beautiful custom-made stem with integrated Garmin mount. 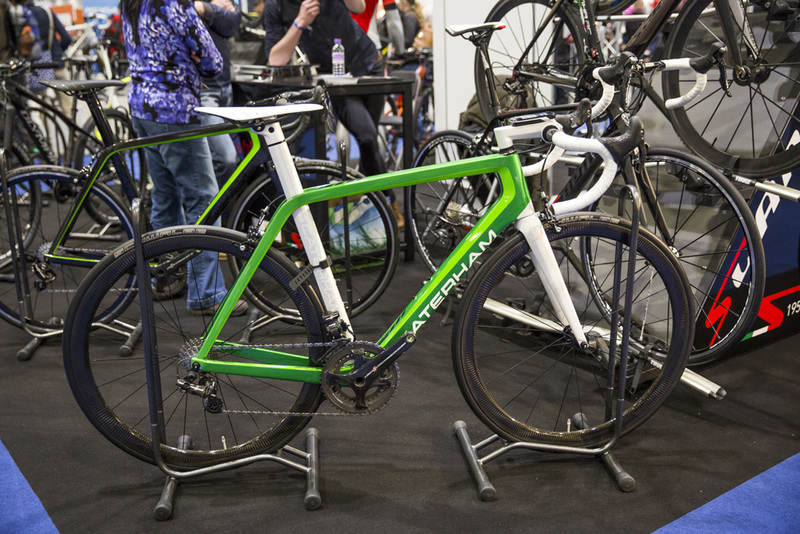 We may have featured the new Slice in part one of the best bikes from the show, but make no apology for including another Cannondale here. Look beyond the funky paint job and the most exciting things on this CAAD 10 are the HydroR brakes, the latest incarnation of SRAM’s hydraulic rim brakes seen here with the American’s company’s Rival groupset. Aside from the brakes we love the look of the Fabric Scoop saddle, while the Cannondale SiSL2 Hollowgram chainset and Enve 8.9 wheels complete a lovely looking bike. 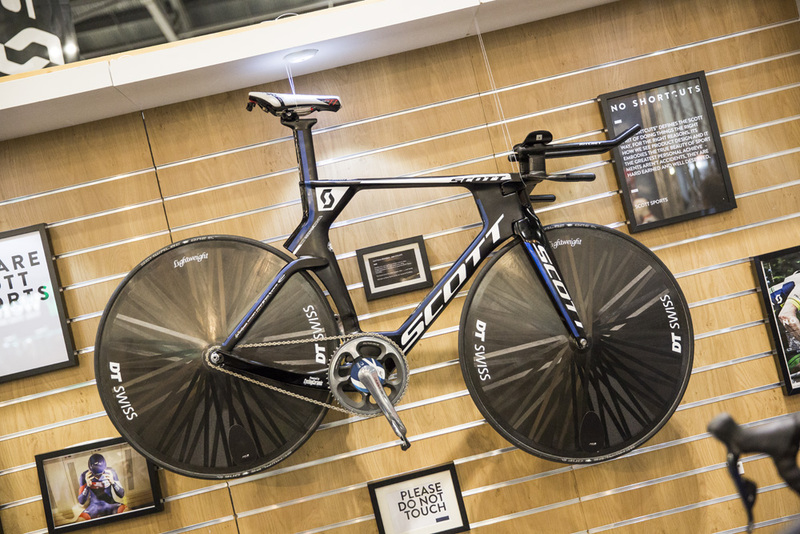 This Scott Plasma has only been used for an hour – any takers? Matthias Brandle may now be a mere former Hour Record holder, but that shouldn’t stop us admiring his Scott Plasma 5 that propelled him 51.852km in October last year. Brandle chose a 55/13 gear for his record attempt, using a crankset from the previous 7900 series of Shimano Dura-Ace with SRM power meter. The wheels are a pair of custom-built Lightweights, with a DT Swiss label to please IAM Cycling’s wheel sponsor, and the bars come courtesy of Ritchey and the saddle from Prologo. The whole bike weighs in at 7.2kg. 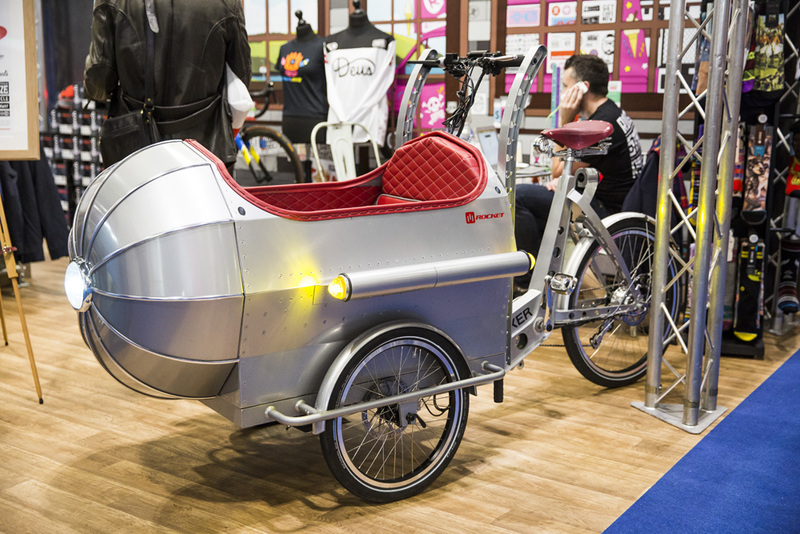 And finally… We don’t think there was a bike (or trike) at the London Bike Show that had a less apt name than the Boxer Rocket. Apparently inspired by Flash Gordon and the Hindenburg, the Rocket was intended as a one-off commission but attracted so much attention for Dorset manufacturer Boxer that they decided to put it into production. With its girder frame, hand-stitched leather interior with removeable seats, and central headlight, the Rocket is available in two models: the standard model and the E-Rocket. The second option, which will set you back £4,500 (the luddite non-electric version is £3800), comes with the neat addition of LCD screen which displays speed and distance, and USB charging points for the passengers. As you would expect, the Boxer certainly wasn’t the lightest bike at the show, hitting the scales (or perhaps the weighbridge) at 58kg.